Everyone is an artist, even if they don’t realize it! That’s because art is something we all create every day. Now, we’re excited to let you know about a brand new way to express yourself creatively—EEG art! In this post, we’re going to take a look at the tools you need to start creating art using your brainwaves, then, we’ll talk a little bit about the great EEG art apps that are available for you to check out in the NeuroSky App Store. So, let’s start expressing ourselves! Before you start creating EEG art, you need an EEG headset such as the MindWave or MindWave Mobile from NeuroSky. These powerful EEG headsets are able to safely measure your brainwaves—using the data collected for everything from personal health and wellness, to entertainment, education, and—you guessed it—art! With a MindWave or a MindWave Mobile, you’ll have the paintbrush you need to create art like never before. The MindWave and MindWave Mobile are available in the NeuroSky Store. Braintone Art – This amazing app gives you the power to create high-quality, unique artwork using nothing more than the energy of your mind! Using the Braintree Art Imagery Generation Engine, this app is able to project your emotions as abstract art on a digital canvas. Perhaps best of all, the entire process is recorded, meaning you can review the progress of your creation and choose the exact moment you love most as the final piece. With no mess, no cleanup, and unlimited creativity, Braintone Art is a must have for artists everywhere. Braintone Art is available in the NeuroSky App Store. Art of Zen – Combining art with relaxation, the Art of Zen uses biofeedback to visualize your calm, balanced state with dynamic flowing colors. As your mood changes, so to do the Art of Zen’s rich visual interpretations. Not only does this app create beautiful art for you to enjoy, it also helps you to relax, meditate, and become more restful and calm after a long day. Art of Zen is available now in the NeuroSky App Store. If you’ve always wanted to create art to share with the world, but didn’t know where to begin, EEG art is right for you. 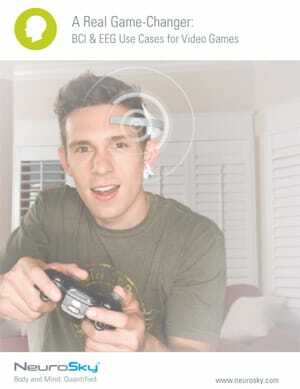 For more information on EEG headsets and apps, visit the NeuroSky App Store to start creating today!